Looking for something different, something unusual for that special gardener on your list? How about some “fish” to “swim” through the garden? Maine artist and landscaper Tyson Weiss knows gardens and knows what works in them. 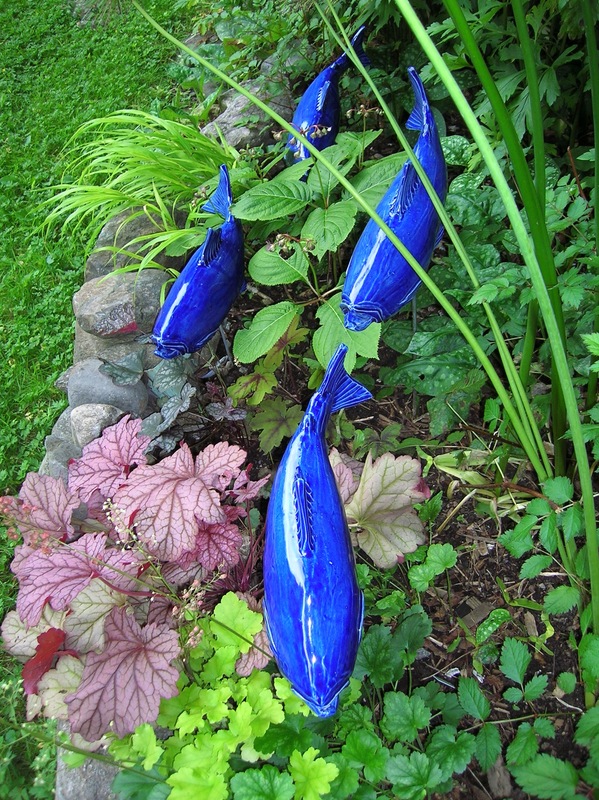 He makes each ceramic fish individually, and the handsome sculptures are the perfect addition to any garden. Visit http://www.fishinthegarden.com for more information and to order a “school” of fish. I’ve got fish in my gardens, and love ’em.